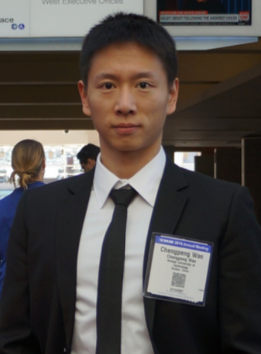 Welcome Dr. Chengpeng Wan from Wuhan University of Technology to be committee member! Wan, C., Yan, X., Zhang, D., Shi, J., Fu, S. & Ng, A. K. Y. (2015). Emerging LNG-fueled ships in the Chinese shipping industry: A hybrid analysis on its prospects. WMU Journal of Maritime Affairs, 14(1), 43-59. Wan, C., Yang, Z., Zhang, D., Yan, X. & Fan, S. (2016). Resilience in transportation systems: A systematic review and future directions. One Belt and One Road (OBOR) International Conference, Melbourne, Australia. Wan, C., Yan, X., Zhang, D. & Yang, Z. (2015). Quantitative evaluation of green port development – comparative analysis of major ports in China. Annual conference of the International Association of Maritime Economists (IAME), Kuala Lumpur, Malaysia. Wan, C., Zhang, D., Shi, J., Fu, S., Yan, X. & Ng, A. K. Y. (2014). Emerging LNG Fueled Ships in Chinese Shipping Industry: A Hybrid Analysis and Prospects. Annual conference of the International Association of Maritime Economists (IAME), Norfolk, USA. Wan, C., Yan, X., Zhang, D. & Fu, S. (2013). Reliability Analysis of a Marine LNG-Diesel Dual Fuel Engine. IEEE Conference on Prognostics and System Health Management. Milano, Italy. IEEE.